Ballathie House Hotel sits at the end of a long driveway in the middle of the Ballathie Estate; making you feel you are in the middle of nowhere. The grey stone turreted exterior has the restrained elegance of Balmoral Castle, and inside the lobby and main hall, stag heads and assorted quirky antiques carry on the luxury castle vibe. The hotel was taken over by new management 18 months ago, and they have gradually been making improvements to the decor and to the restaurant menu. Everywhere is clean and comfortable; but some of the rooms still require some cosmetic work such as handle repair or paint touch-ups. However, we've been assured they are getting to these. The hotel's public areas- main hall, bar, dining room and reception area are stunning- from the paintings, to the antique wooden chests and beautiful wall murals. We stayed in the River Suite; which to all intents and purposes is a self-catering 'cottage' that's part of the main hotel building. It would be great for a family stay, as in addition to the main double bedroom, there is a double sofa bed in the living room. The suite also has a bathroom, kitchen and private entrance at the back of the hotel. It has an excellent secluded feel; but with all the staff service and room service benefits of a luxury hotel. 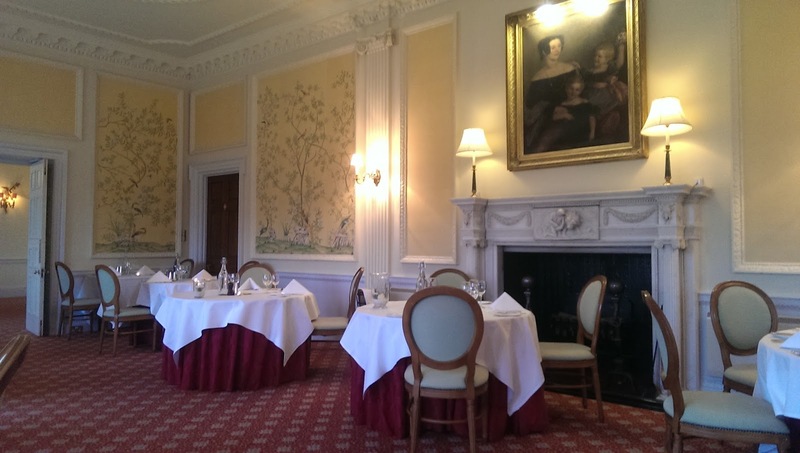 We dined in the hotel restaurant, which offers a set 4-course menu for £49 per person. The price is definitely worth it for the perfect fine-dining experience, even if the portion sizes are a bit on the small side. The staff are 110% attentive, the food is delicious, beautifully presented and full of well-executed flavour combinations. Dinner began with the surprise of a miniature serving of chicken liver pate along with freshly baked warm bread. It was one of the best pates I had ever eaten, and I had to stop myself asking for a big slab of it as my main meal. 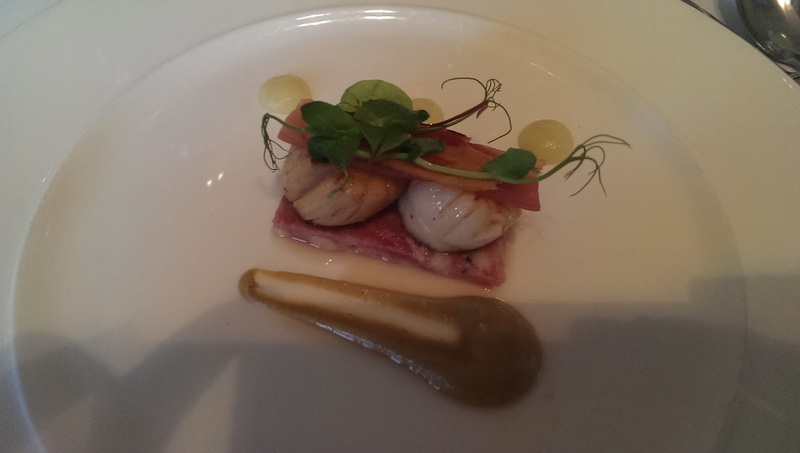 For starters, we tried the seared king scallops on a bed of ham hock, and served with apple gel and curried cauliflower puree. The scallops were cooked perfectly and went beautifully with the delicately spiced cauliflower puree. The lime sorbet that came as an intermediate course was delicious and refreshing, and we could have happily sat and eaten it all night. 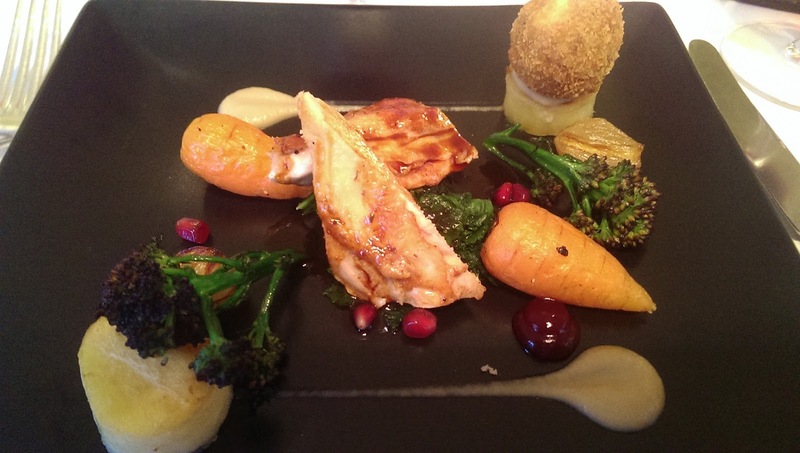 As a main course, I went for the breast of guinea fowl with fondant potato, confit leg bon bon, spring greens and sherry wine jus. This was very tasty and well-flavoured; but took the fine-dining concept too far- portion sizes were incredibly small and disappointing. 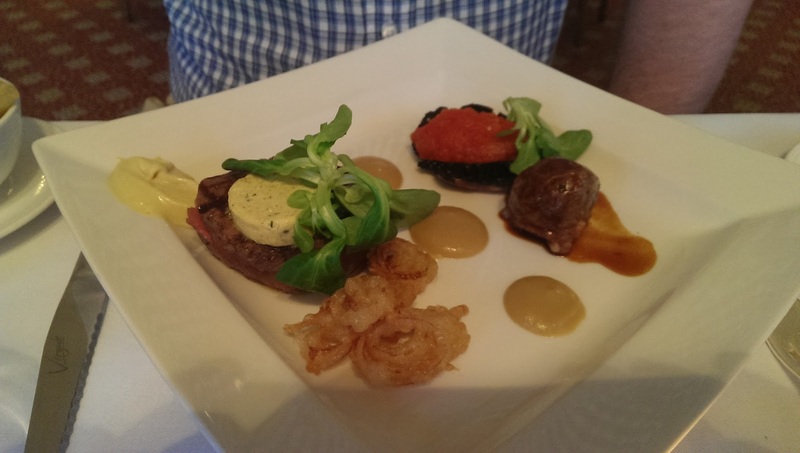 I ended up eating all of my guest's hand cut chips which came with his Ballathie beef fillet (£10 supplement). This was a good-sized piece of meat and had a good-sized portion of onion rings and duck confit on the side too. This plate with the £10 supplement is the size all of the main courses should be, as the food was glorious- we just wanted more of it! The dessert choice was amazing, and I plumped for one of my all time favourites- creme brulee. 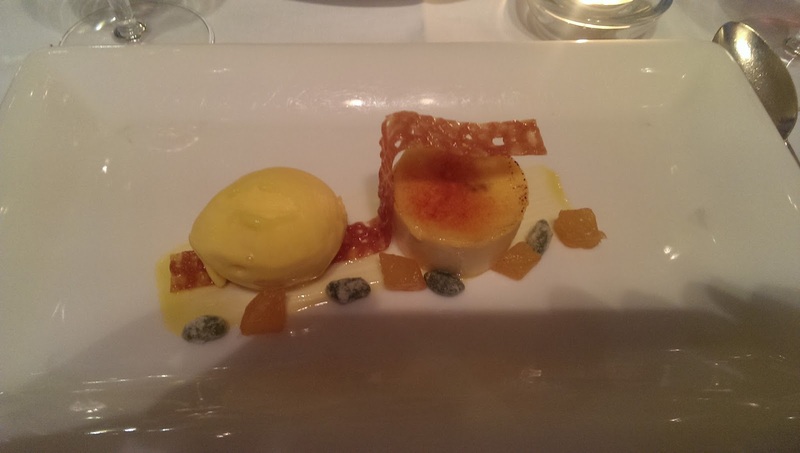 My passionfruit creme brulee came with mango sorbet, candied pistachios and a sugar tuille. 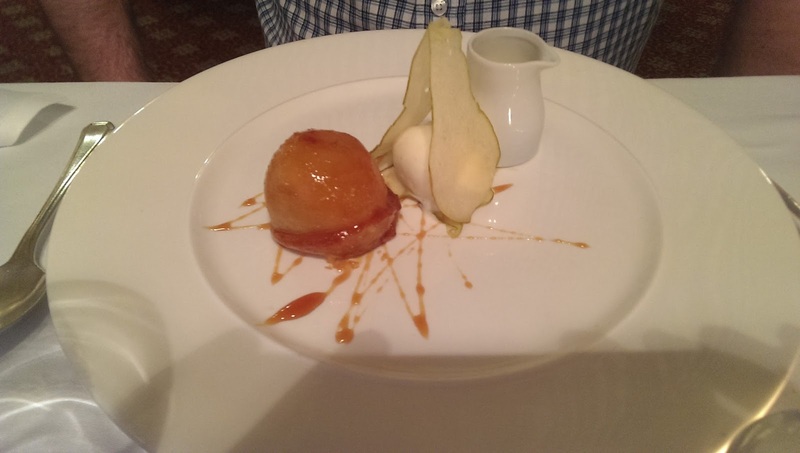 We also tried the pear tarte tartin with ginger ice-cream which was baked and flavoured beautifully also. 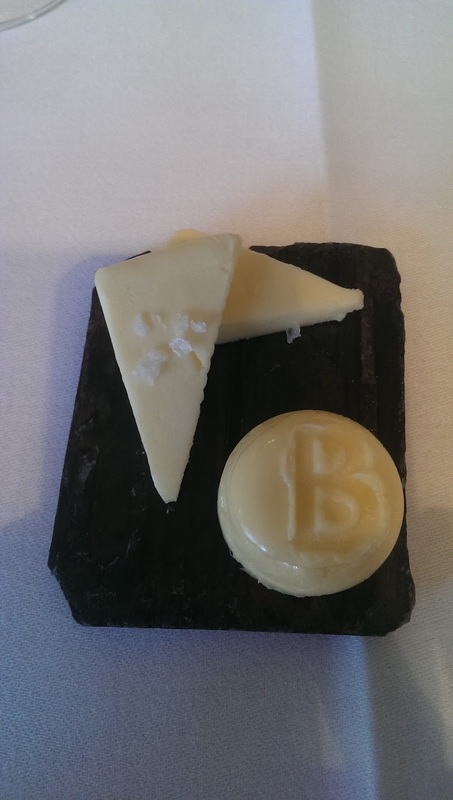 The tablet and truffles that came with coffee was a welcome additional touch. The atmosphere is the dining room was great, and we really felt like we had experienced a good and luxurious night out. A riverside walk along the River Tay (which runs through the estate) gave us the opportunity to see some wildlife and waken up for breakfast. Breakfast was comprised of a continental buffet, and then hot food to order from a menu. We both went for the full breakfast, and it was filling and not at all greasy. The portion sizes were just right. The scrambled eggs were wonderfully creamy, and we loved, as usual, our favourite Stornoway Black Pudding. 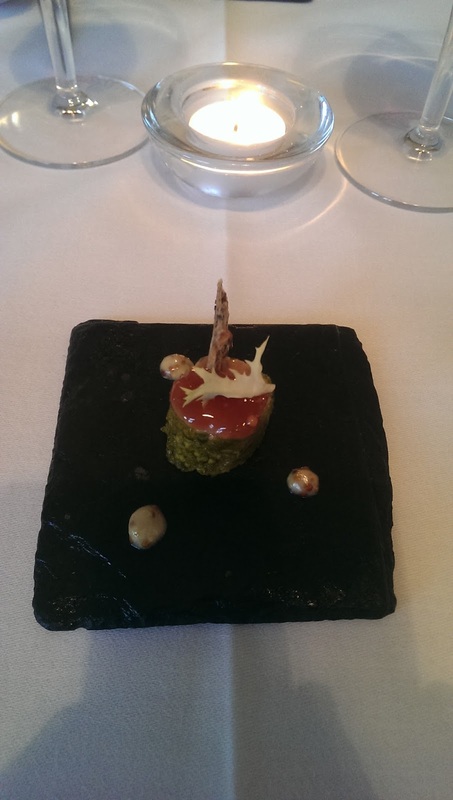 The staff at Ballathie House Hotel were beyond amazing. Each we met (and spied on) went above and beyond to meet every guest's needs. It is a real labour of love for them, and we are excited to watch this establishment grow and grow. For more information on Ballathie House Hotel, Kinclaven, Stanley, Perthshire, PH1 4QN; visit www.ballathiehousehotel.com or call 01250 883 268.